Big things are afoot at music streaming service, Slacker Radio. The main site is in the midst of a big Beta UI makeover, changing everything from the company logo to the feed of social media activity about all the different programming activity. As music streaming services go, Slacker is one you should check out if you have not done so before. If you like it, you can stream it for free with ads. If you do not want ads, you are not automatically jammed into a $10 per-month subscription if you do not want it, you have options. 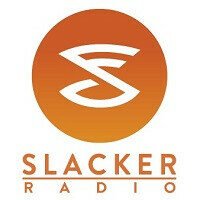 Slacker Radio Plus is $3.99 per-month which removes the advertisements, gives you unlimited song skips, offline playback, access to ABC News, ESPN, and song lyrics. $9.99 per-month does all that, then adds songs on demand, albums on demand, single-artist station, and the ability to create and download custom playlists. If you are a Verizon subscriber, you have exclusive access for Slacker-sourced ringtones and ringback tones. It is called Slacker Radio Tones and like many options on Big Red, and with song royalties being what they are, the feature costs $2 per-month, made available through an in-app purchase. You can change your tones as much as you want, and you can assign your favorite stations as a tone as well. Slacker Radio Tones is not an available option for Windows Phone devices. There is no indication as to if this will remain a Verizon exclusive or if we will see Slacker Radio Tones open up across carriers. If you are into assigning different sounds and moods for all your friends and family, Slacker Radio Tones can expand your library by quite a bit. I feel so bloated. Nobody wants this. I uninstalled this on my Verizon Droid Razr - along with NFL, VZW Navigator, Facebook, amongst other bloatware and replaced it iHeart Radio and TuneIn Radio Pro (free app of the day from Amazon).